If you are starting a website that will eventually need to have a forum then you will be happy to know that there are WordPress bbPress forum themes that were specifically crafted for this purpose. Most of these WordPress themes will assist you in creating a professional looking website in minutes. For meet this need they come with a one click demo installation, powerful admin panel, and an integrated premium page builder. It does not matter which theme you will choose from the list below because we have selected only the best WordPress bbPress forum themes. Selecting one of theme will allow you to design a beautiful layout and set up for your audience to enjoy. Let’s get started! 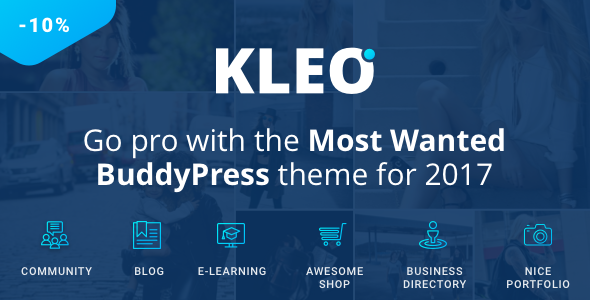 Kleo comes with all the important features WordPress bbPress forum themes need to have. Some of those features are one click demo installer, lots of already designed demos, unique BuddyPress design, robust live customizer, Visual Composer, e-learning system, social media login integration, BuddyPress profile, live notifications, and much more. These tools make Kleo an amazing theme that deserves all the attention it gets! 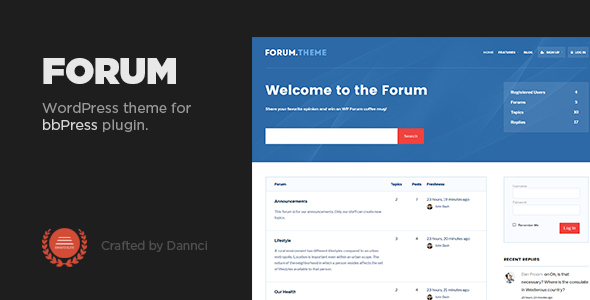 Forum is a WordPress bbPress forum theme that was designed to give its user the ability to develop beautiful forum websites. Forum is packed with options and customizations such as unlimited colors schemes, awesome typography, advanced theme panel, post formats, related posts, and custom background images. Taking advantage of these features you can create beautiful layouts for you pages. Promote your online business with Forum! If you plan a building a website that requires a forum then you will be happy to learn about HelpGuru. This theme is incredible and has some awesome features starting with a fast live search form, article feedback, and content ordering. Furthermore, HelpGuru includes article attachments, widgets, live customizer, child theme, and a great documentation. HelpGuru will also allow you to focus on the design of your website and create only high quality layouts. 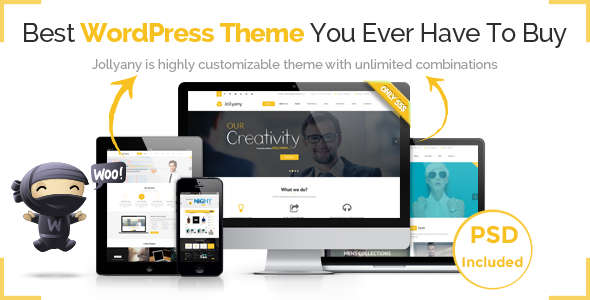 This theme is one of the best WordPress bbPress forum themes. LeadEngine is a multipurpose WordPress theme that has been built specifically to help businesses increase their sales and popularity. LeadEngine has a professional design that can fit any type of business. This theme is fully integrated with bbPress to help you set up easily a forum for your audience. 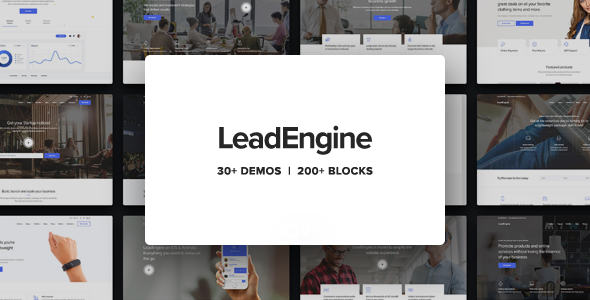 Further features of LeadEngine are 35 of demo websites, 200 templates, several premium plugins integrated, responsive design, portfolio designs, shop page, blog layout, child theme included, typography options, and CSS3 animations. LeadEngine is a theme worth checking out! Disputo is an attention-grabbing, attractive, dazzling, and feature packed theme that was built to support and elevate forums. Apart from being integrated and compatible with bbPress this theme also includes a live customizer, front-end login, social media login, private messaging, user blogs, rating system, shop, ads manager, FAQ system, and flexible header and footer. 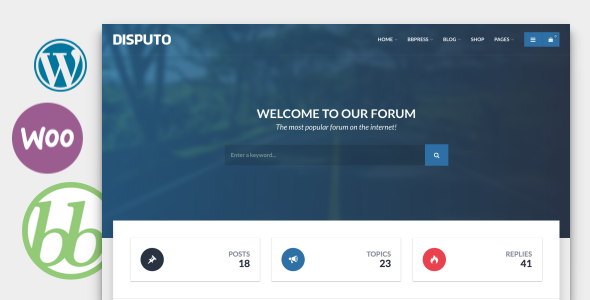 Disputo is a great addition among the best WordPress bbPress forum themes! Jollyany has been developed by JollyThemes, an Elite Author from ThemeForest. If you choose Jollyany for your website you will benefit from a HD video documentation, over 30 homepage demos, dark and light skins, Revolution slider, custom portfolio templates, maintenance mode page templates, unlimited colors, 3 header styles, shop templates, BuddyPress and bbPress variations, and 70 widgets. These options might seem much for a WordPress beginner but the admin panel of Jollyany is highly intuitive and easy to navigate. Try this awesome WordPress bbPress forum theme! 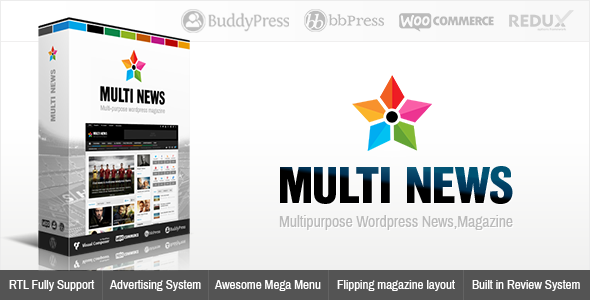 Multinews is a professional bbPress WordPress theme that is extremely versatile and comes with a ton of features. With Multinews you will be able to craft a beautiful and modern forum for your website. It is also worth mentioning that Multinews is fully responsive and retina ready. Apart from these, you also get to use a flipping magazine template, a weather page, and shop page. Visual Composer is integrated with Multinews to offer you the option to build original layouts yourself. Create an engaging design for your business with Multinews! Oswad is flexible and highly customizable WordPress bbPress forum theme that gives you the opportunity to start fresh with a high quality design. Oswad has features that cover all the important aspects of a successful website such as multi homepages, responsive layouts, custom slider, built-in mega menu, powerful theme admin panel, custom layouts, bbPress forum support, portfolio integration, and unlimited colors. With these features at your disposal you have the ability of building a complete custom design without any coding experience and this make Oswald one of the best WordPress bbPress forum themes. Conferpress is the theme you need especially if you plan on building an events related website. 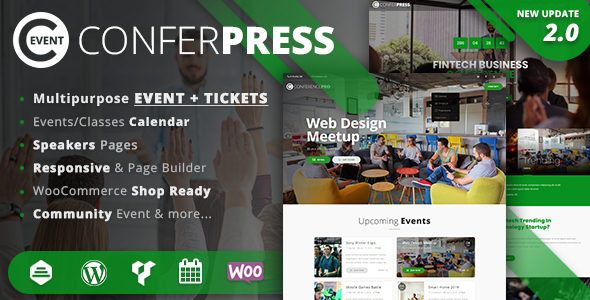 The main features of Conferpress are WooCommerce integration, demo content, page builder, event calendar, dark and light scheme, menu styles, event manager, social sharing buttons, Showcase plugin, Event Tickets Plus, and RTL support. If you are looking for WordPress bbPress forum themes then check out Conferpress! Osage is a multipurpose WordPress bbPress forum theme with a stunning design and lots of features. Osage it is easy to customize and adjust thanks to its user friendly admin panel. You can showcase your popular posts using the post slider it comes with. Osage also comes bundled with Menufication, a plugin that gives a beautiful look to the navigation. Moreover, you also get a custom scoreboard, WooCommerce integration, infinite scroll, sticky nav bar, video and audio posts, and SEO optimization. Osage is a great choice! Sparkle has been designed to serve as a magazine theme for WordPress websites. Sparkle has amazing features that will allow you build a competitive website in order to create an online presence. For forum purposes Sparkle offers complete compatibility with bbPress. Other features you might find interesting are unlimited skins, mega menu, post formats, review system, off-canvas menu, Ajax post widget, online shop, helpful documentation, and shortcode generator. Furthermore, you can create beautiful page layouts using Visual Composer without writing code. Omega has been crafted for people who need to create a platform for promoting their business online. While Omega is integrated with bbPress there is more that makes it one of the greatest WordPress bbPress forum themes. Omega comes with a powerful admin panel that allows unlimited customization options which means you get lots of opportunities to display your portfolio and services. Omega is full of helpful options and using it you will have the chance to construct the website of your dreams in mere minutes! 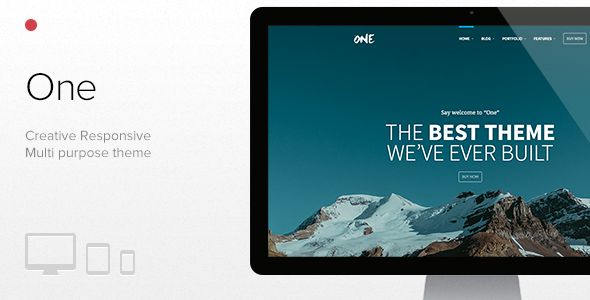 One is a great WordPress bbPress forum theme that will allow you to create a beautiful forum section on your website. When it comes to features One does not hold back and comes with 2 menu styles, page builder, slideshow, galleries and albums, WooCommerce integration, Google fonts, sidebars, and child theme. The 4 portfolio layouts will give you the opportunity to showcase your services and previous work in a professional manner. Omega also offers access to its demo content through a one click installation process. 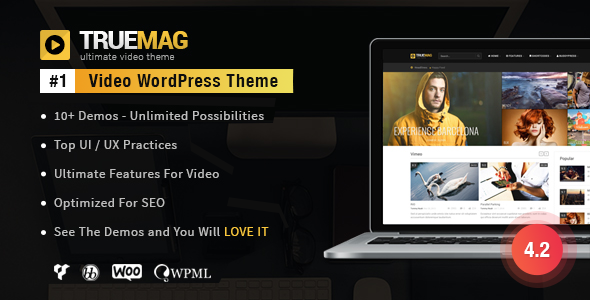 Truemag can be described as a magazine and video WordPress theme and has an eye-catching design that stands out from the crowd. To help you right from the start, Truemag comes with 10 pre-designed homepage demos that will present your best to your audience. As an enhancement, this theme was integrated with BuddyPress and bbPress for websites who need a forum. Even though Truemag has lots of features it is incredibly easy to use and intuitive. A great fit for any type of website! The Ken makes it easy to have a forum integrated website and showcase your business all in one. 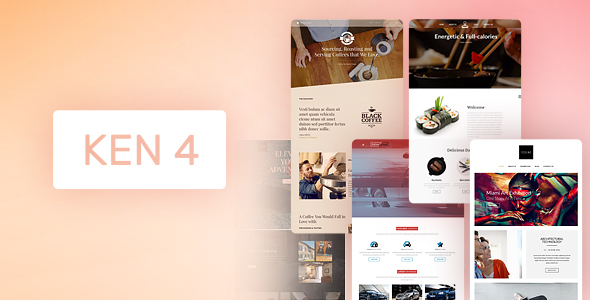 Each website you create with The Ken will have a unique look and feel thanks to its numerous design elements and features. The Ken includes 15 templates, a full screen menu, stunning portfolio styles, mobile menu design, 12 header styles, shortcodes, tab slider, full demo content, and elegant typography fonts. 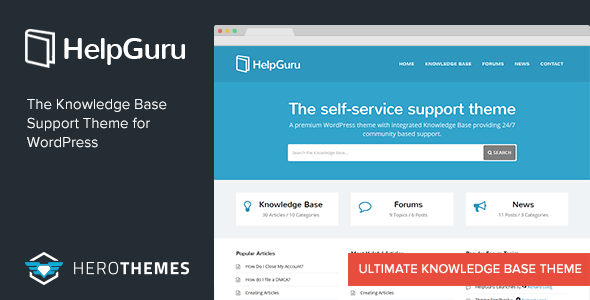 The Ken does not disappoint as one of the most robust WordPress bbPress forum themes! Curated is a bbPress integrated WordPress theme that comes with an ultra-modern and responsive design adaptable to various businesses. You can really take over and customize this theme fully using its integrated drag and drop page builder. To save you some time, Curated comes with its demo content included leaving it to you to replace it with your own. As far as WordPress bbPress forum themes go, this is a great choice! Church and Events is a flexible WordPress bbPress forum theme that can be used for church and events related websites. Church and Events has a wide variety of features among which are drag and drop builder, integrated shop, The Events Calendar plugin, LayerSlider, donation system, sermons plugin, and Wootickets. When it comes to customizing the theme there are various home layouts, 10 header styles, 600+ Google fonts, and 4 pre-defined skins. 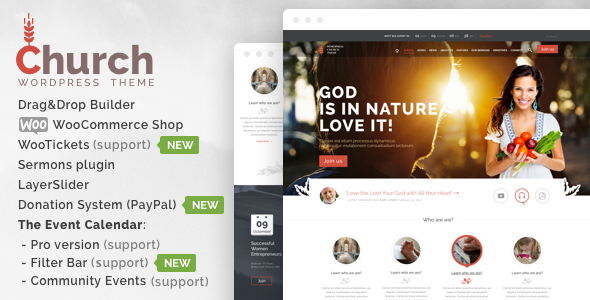 Church and Events is a good choice if you are looking for an intuitive and modern theme! The design and tools of Vellum makes it a veritable choice for businesses all around the world looking to make a statement. Vellum gives you plenty of choices to make your layout unique starting with the 12 pre-designed starter kits. Vellum also integrates mega menus, custom sliders, a drag and drop page builder, parallax backgrounds, contact form builder, unlimited footer and header layouts, and a custom audio player. You can impress your audience with a professional looking forum because Vellum is compatible with bbPress. 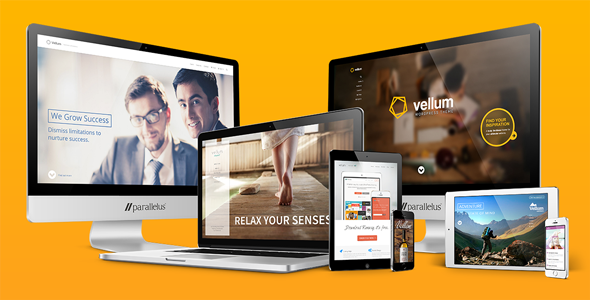 Vellum is suitable for any business – try it out! Vivacity uses lots of incredible features and new trends to help you build a stylish and gorgeous looking bbPress integrated website. 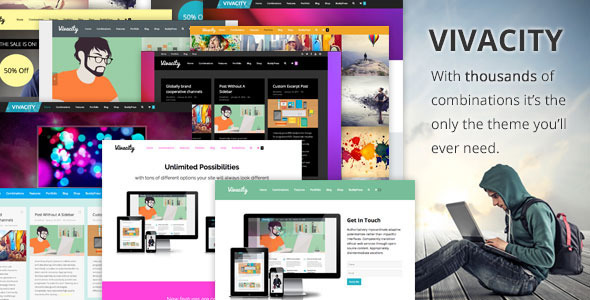 Some of the key features found in Vivacity are dynamic sliders, parallax effects, layout builder, demo data, mega menus, portfolio styles, custom icons, unlimited sidebars, and a child theme. With these elements you can create an original layout that will attract customers and visitors. Let your bold side show with Vivacity! 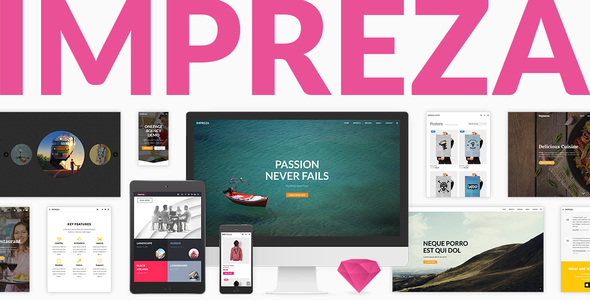 Impreza aims to be the best WordPress bbPress forum theme on the market. When using Impreza you get several ready to use unique demos, 3 popular plugins, WooCommerce integration, bbPress integration, RTL support, 17 portfolio designs, limitless colors, 6 blog layouts, unlimited sidebars, beautiful CSS3 animations, extensive documentation, child theme, and Google maps. 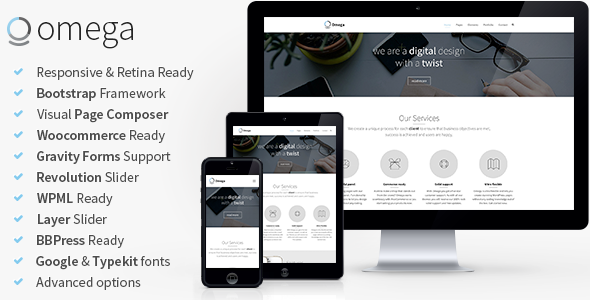 With Impreza every single aspect of your website can be customized and personalized. Try it today! These WordPress bbPress forum themes will have you developing websites like it’s nobody’s business and enjoying yourself while doing it. For this list we have look at the bbPress compatible themes that are responsive, easy to use, good-looking, and SEO optimized. Do you agree with our list? Let us know!